I brewed my T.Ra.Sh. Mexican Lager today. To be completely honest, there is nothing particularly "Mexican" about this beer. It does use WLP940, which is White Labs "Mexican Lager Yeast". 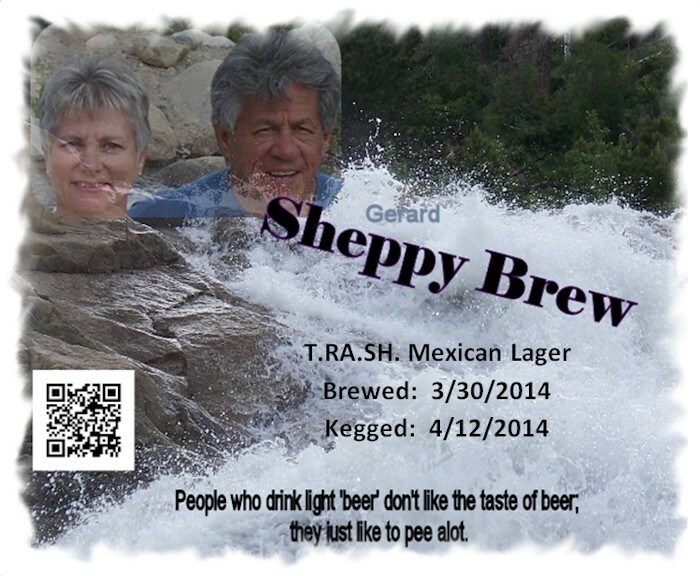 Its SheppyBrew Label features my father-in-law, and he is of Mexican decent. But really, when I picture a Mexican Lager, this isn't what I think of. Stylistically, it is sort of a Vienna Lager, which some of those famous mass produced darker lagers are. It isn't really dark enough, though. It isn't sweet enough either. It certainly isn't light in color or body to be one of those lighter mass-produced Mexican lagers either. It has too much nobel hop character as well. I don't know much about the craft beer scene in Mexico. Perhaps if I were I would be able to compare this beer with a Mexican craft beer of some sort. I don't know. I do know that the first time I made this beer, it was fantastic. The Mexican on the label is visiting around Christmas, and that seemed as good a reason to brew this as any. Be day went very well. The mash was perfect. My pre-boil gravity was perfect. I added everything to the boil at the right time. My OG was perfect. I pitched at 50 degrees (perfect). The only thing that didn't go right to plan was that I forgot to add Clarity Ferm right when I pitched the yeast. I did remember about a half an hour later, though. I don't think that is an issue at all. 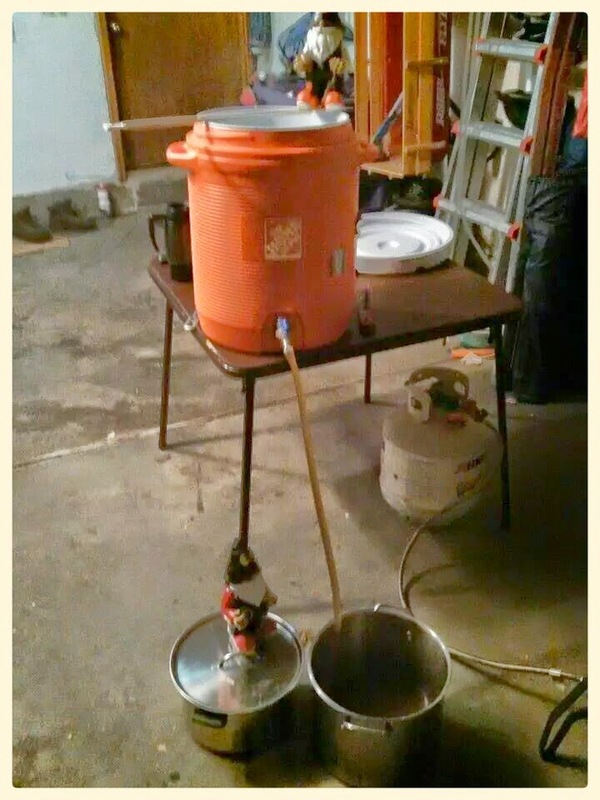 The beer is sitting in the basement waiting for that Mexican Lager yeast to have it's way. The fermenter is in cold water in the gott cooler for temperature control. I also dried some of the spent grain today. 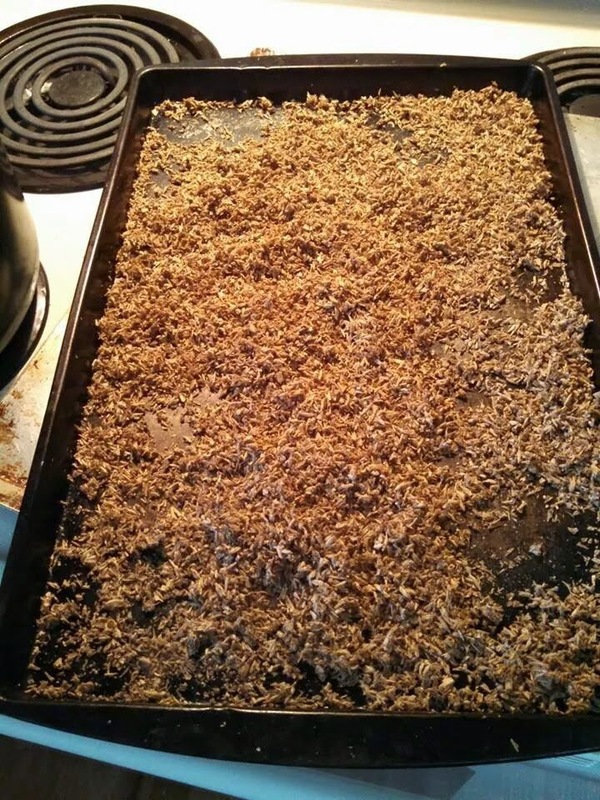 A few days ago, the aha posted an article on how to make spent grain flour. I decided to give that a try. Unfortunately, my wife has informed me that our food processor no longer works. 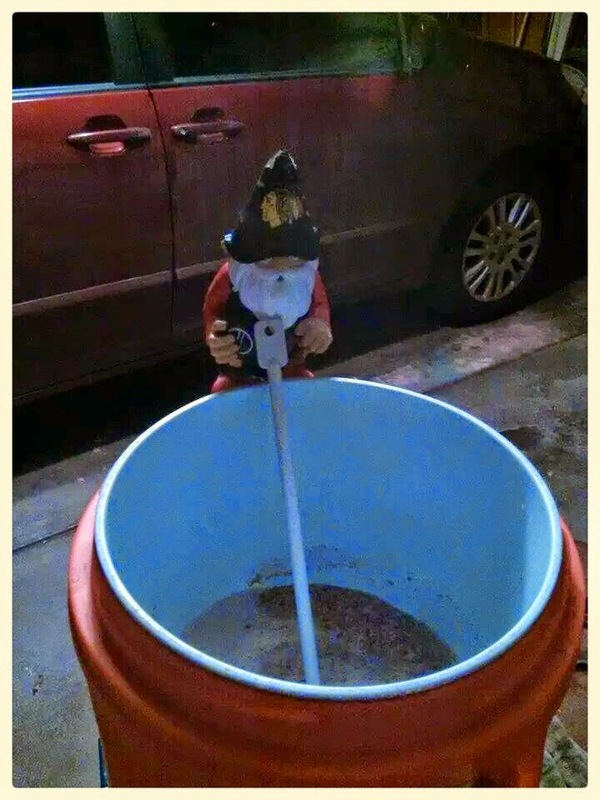 My sister has expressed interest in baking with spent grain before. I may send the site grains to her. 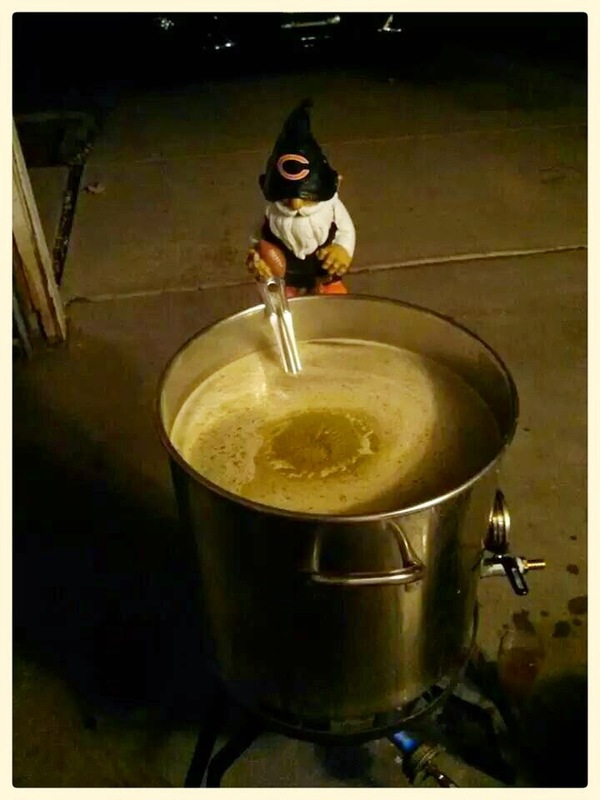 Anyway, regardless, I'll be sure to let you know how the beer turns out.